These were my purchases over the past week: a well-loved classic, an award-winning gay author, and a novel I completely know nothing about except for the fact that there's a character in it named "Archie," short for "Archibald," which is my husband's name except for the B which should be replaced by V, and that my Buddy likes it. A lot. Hello, Monique! 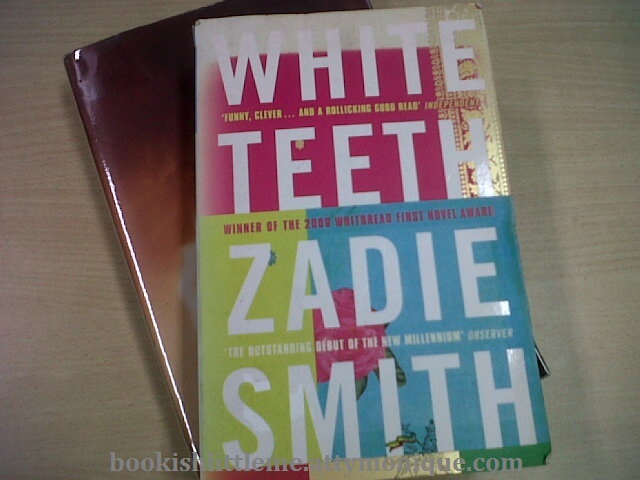 I read White Teeth years ago and I loved it! How I acquired my paperback copy is a story in itself. As a very early riser (I wake up every day at 4 am even on weekends), I found myself with nothing to do while in Boracay one very early morning. I decided to have coffee at this quaint cafe. And lo! It has bookshelves with awesome titles for customers to just pick up and read. I grabbed White Teeth and just couldn't stop reading it. I asked the owner if the copy was on sale and the American lady said no, it wasn't. I was so persistent though, that she sold it to me for a bargain. How cool is that? White Teeth is super fun! It's about ... teeth. As metaphors. I hope you also enjoy it.